Are you in the market for a new car or truck but concerned about vehicle emissions? This convenient tool will help you find the environmentally friendly vehicle that meets the every-day needs of you and your family. Whether it’s a sports car, sedan, SUV or truck, this easy to use search engine will help you find exactly what you’re looking for. 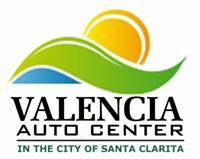 Then, when you’ve found the vehicle you want, visit the Valencia Auto Center and take it for a test drive! Make sure to check out Southern California Edison’s information on plug-in vehicles.